Species: Giant Manta Rays, Scalloped hammerheads, Silky sharks, Galapagos sharks, Silvertips and Whitetip reef sharks. 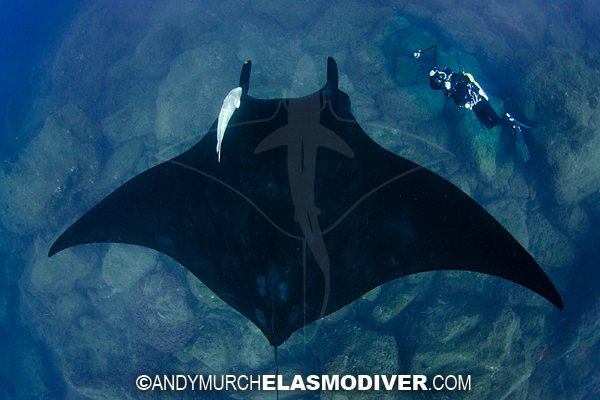 Encounter: Oceanic Manta rays can be reliably found at the four remote islands of the Revilladigedo Archipelago. 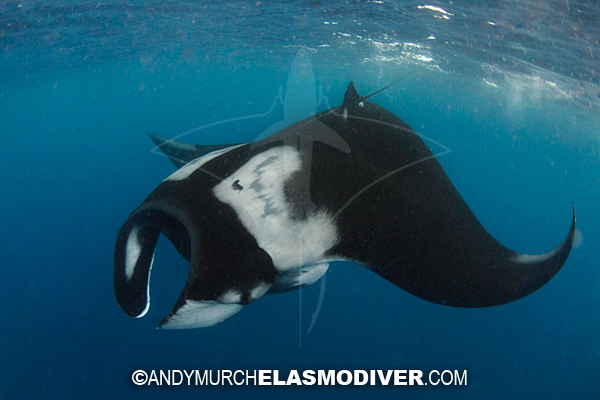 Unlike other manta encounters, the gigantic black and black/white mantas appear to seek out divers and enjoy swimming through their bubbles. Schooling Scalloped hammerhead sharks also congregate at a number of sites around the islands. At Roca Partida (the smallest and most exposed of the islands) all five species of sharks can often be seen in good numbers but the highlight for many divers are the surge carved shelves in the monolithic rock that are crammed full of whitetip reef sharks. A very unique spectacle and one that is virtually guaranteed if the weather is good enough to make it all the way there. Operators: There are at least six liveaboard dive operators that regularly tour the archipelago. Big Fish Expeditions runs a yearly trip aboard the Sea Escape - a Mexican owned liveabord vessel with an experienced crew that know all the sites where sharks can be found. Directions: Trips run from Cabo San Lucas during the winter and spring.